If you find yourself continually struggling to wake up and drive to work every day because you are too tired, you aren’t alone. Around a third of all Americans are sleep deprived as many people juggle busy lives and have work and home tasks that interfere with getting a good night sleep. 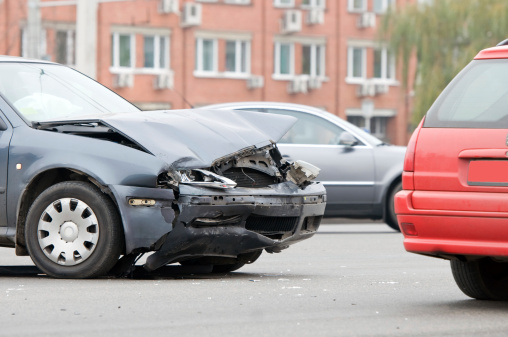 Unfortunately, car accident lawyers in New Haven know that being overtired on a regular basis is dangerous because it significantly increases the risk of an auto accident. A person who is awake for too long could experience similar levels of impairment as someone who is drunk and driving, and you could become involved in an accident that endangers yourself and other motorists. When you find yourself at risk of falling asleep behind the wheel, it is important to take steps to fix the problem and get a good night’s rest. The Fiscal Times has provided some tips from sleep experts that can help you to get a better night sleep and that can make it possible to catch up on your sleep debt in a smart way. Turn off your electronic devices well before bed. If you spend the minutes and hours before going to sleep looking at a bright screen on a tablet or phone, the white light from these devices can mimic sunlight and can trick your brain into thinking that it is daytime and time to be awake. As a result, you may have a much harder time falling asleep and may not get enough rest to be alert and awake the next morning. Exercise vigorously but do it early. You don’t want to exercise too close to bedtime as this can cause your body to be too alert and awake to get a good night sleep. However, it is a good idea to get an exercise routine in because the brain will be more apt to allow the body to shut off and go to bed if the brain believes the body has worked hard that day. Avoid food and drink that could interfere with your sleep routine. Alcohol is one big culprit, since drinking alcohol can cause you to wake up throughout the night as the body metabolizes the sugar in the drink. Spicy foods and caffeinated beverages can also affect your ability to go to sleep. Caffeine, in fact, interferes with your sleep patterns even if you have consumed the drink as much as six hours before bedtime. Stick to a steady bedtime. You should try to be consistent with the time that you go to bed and the time that you wake up so your body can get into a routine. Although it is tempting to sleep in really late on the weekends in order to get the rest you didn’t get during the week, this can actually make your fatigue worse on Monday morning. A smarter way to catch up over the weekend is to take short naps. Following these steps is a smart way to get more sleep and to be better rested. Taking sleeping pills, on the other hand, is usually a bad choice. Not only can you be left feeling groggy and perhaps not be able to drive safely in the morning because of it, but recent studies have also shown that those who take sleeping pills tend to fall asleep just 20 minutes before those who don’t. Auto accident lawyers in New Haven can help. Contact the Law Offices of Mark E. Salomone & Morelli by calling 1-800-WIN-WIN-1.